This rotisserie is meant to be used in fireplaces. It consists in two andirons and a motorised 6-spit skewer system. The andirons of this fireplace rotisserie are made of painted steel sheet and have different positions to put the central rod in. 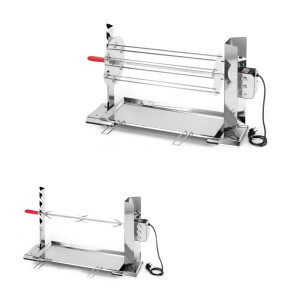 The fat collecting plate under the rotisserie allows to collect and re-use dripping. The material is easy to clean and very resistant. 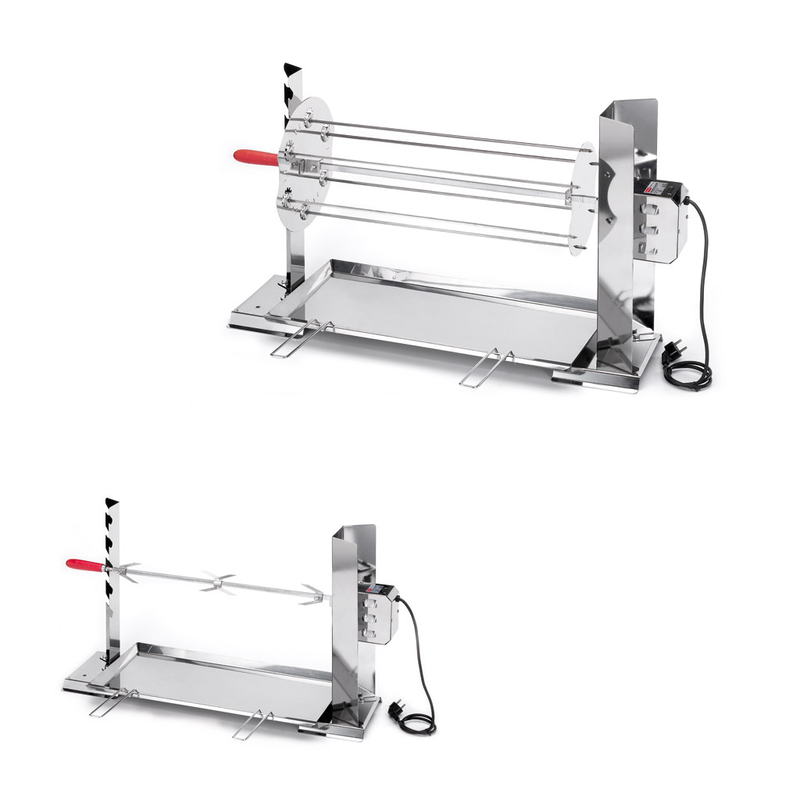 The rotisserie has an approved and certified 220v motor that grants 2 turns/min. The skewer system kit (each skewer is 66 cm long) is made of “angular steel triangles” and works like a “satellite” because each spit rotates independently. Moreover, each spit can be individually removed or inserted to facilitate food preparation and serving. This model is recommended for about 22/25 generous helpings. 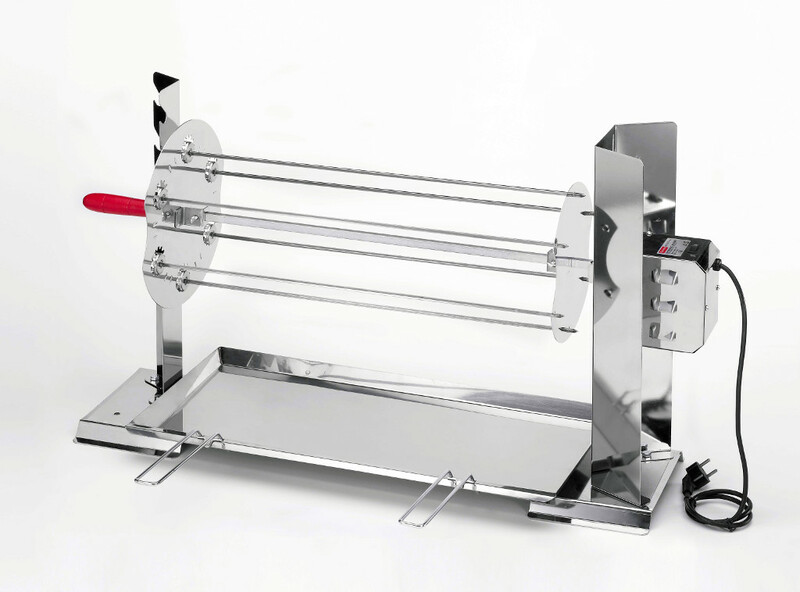 The rotisserie can be provided with a lot of accessories, such as: rotating grid, small grids for fish and pork or chicken holder kits.